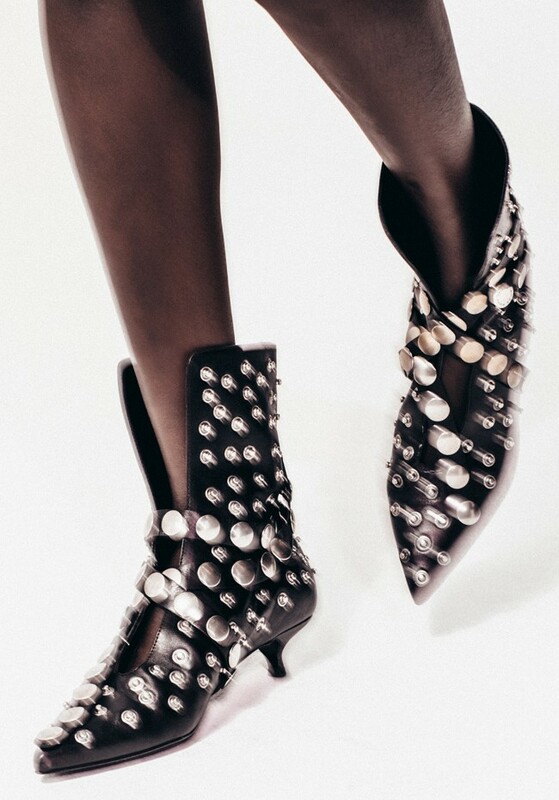 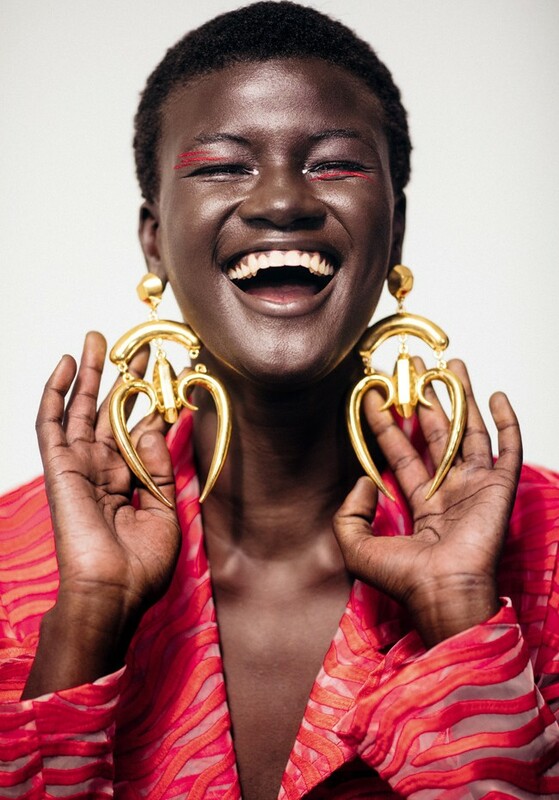 Khoudia Diop shows us how it’s done. 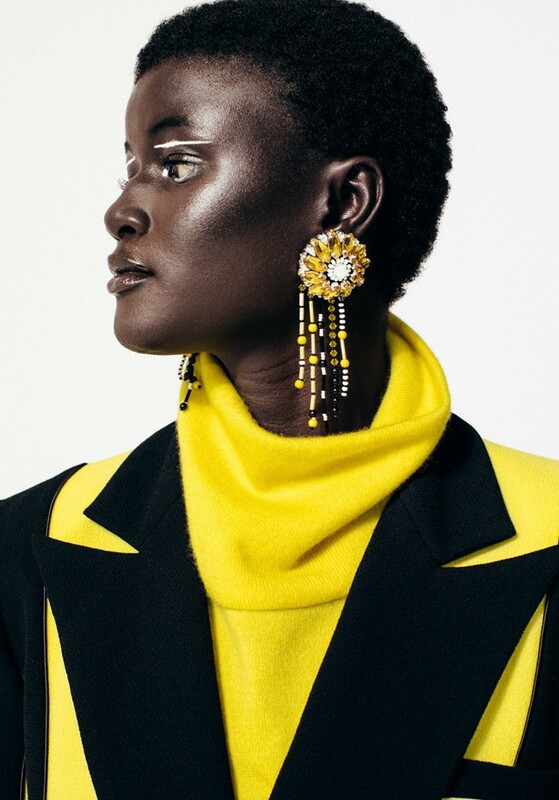 Destiny’s Child, green tea, and neon were the three major components on the set of our fall fashion editorial shoot. 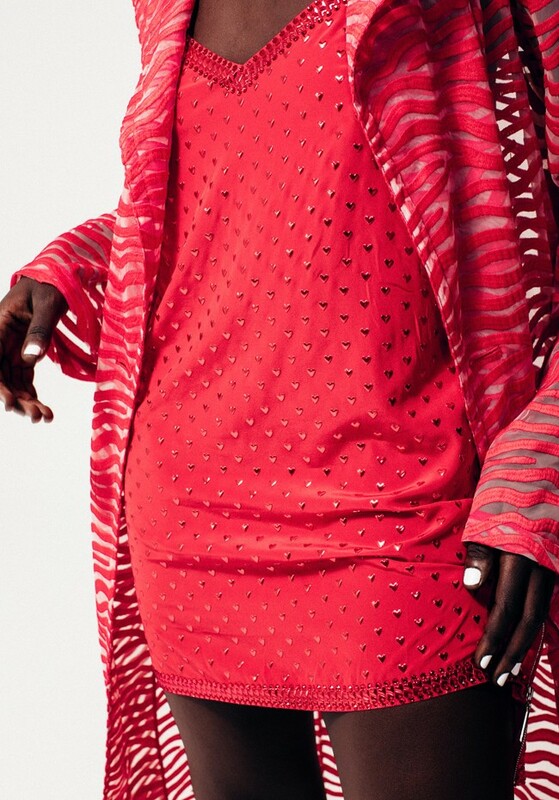 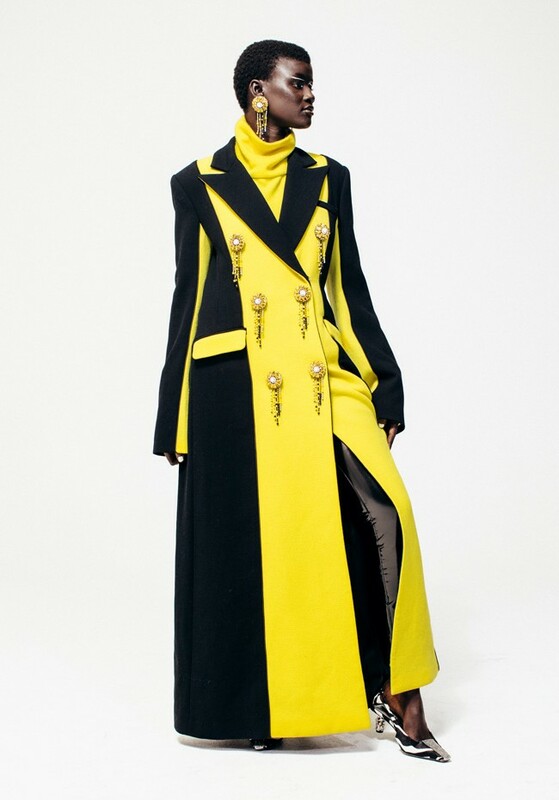 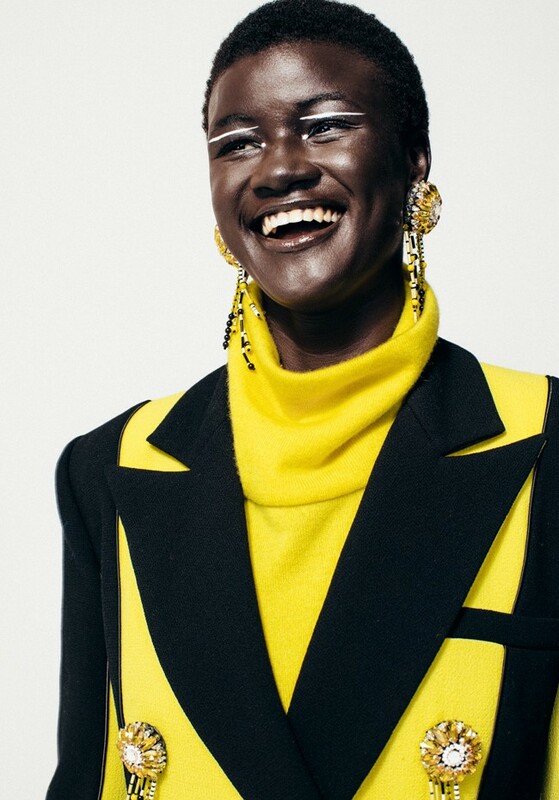 Senegalese model Khoudia Diop danced all day in a high-voltage rainbow of looks, taking green tea breaks in the glam chair during quick changes. 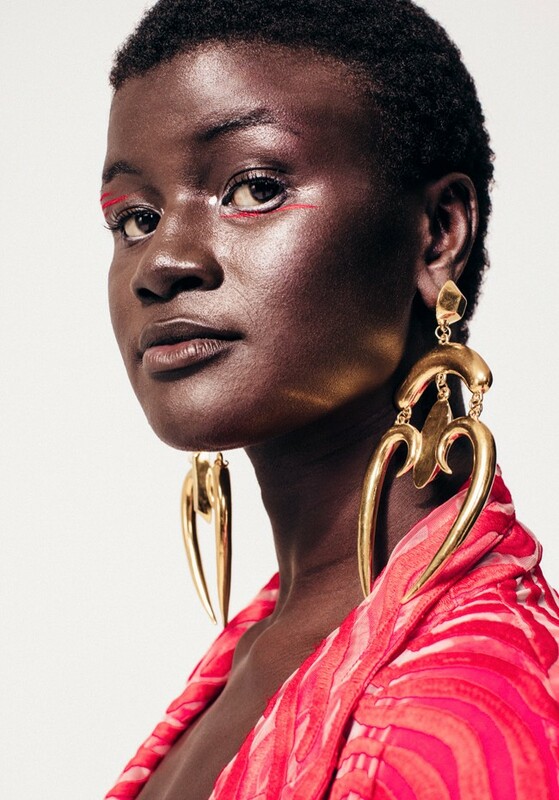 Diop, who coined herself “Melanin Goddess,” caught the internet’s attention in 2016 when she was featured in The Colored Girl’s Full Bloom campaign, which celebrated 14 incredible black women on their journeys and achievements. 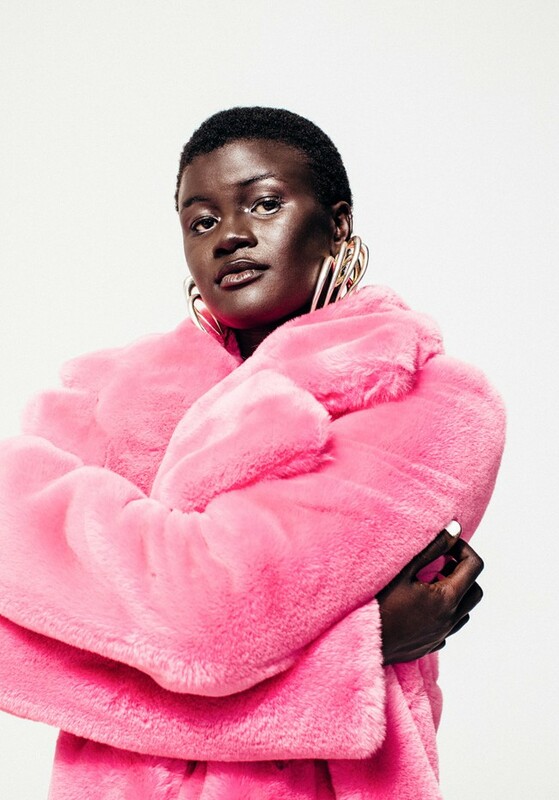 The model, who used to get bullied for refusing to bleach her skin, went viral almost instantly, and now, two years later, she’s added a plethora of accomplishments to her résumé, the face of Make Up For Ever and partnering with Icelandic Glacier being only a few of many. 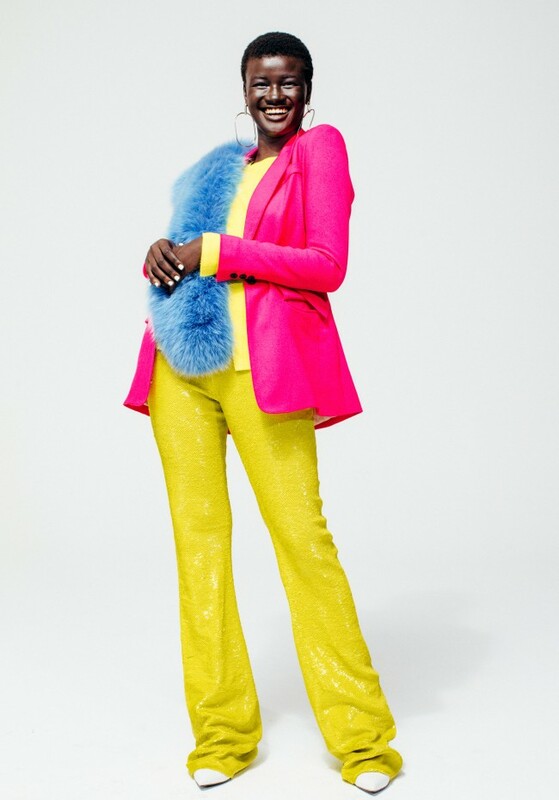 Diop is steadily walking in the spotlight, which was evident on our set as we draped her in as much neon as humanly possible. 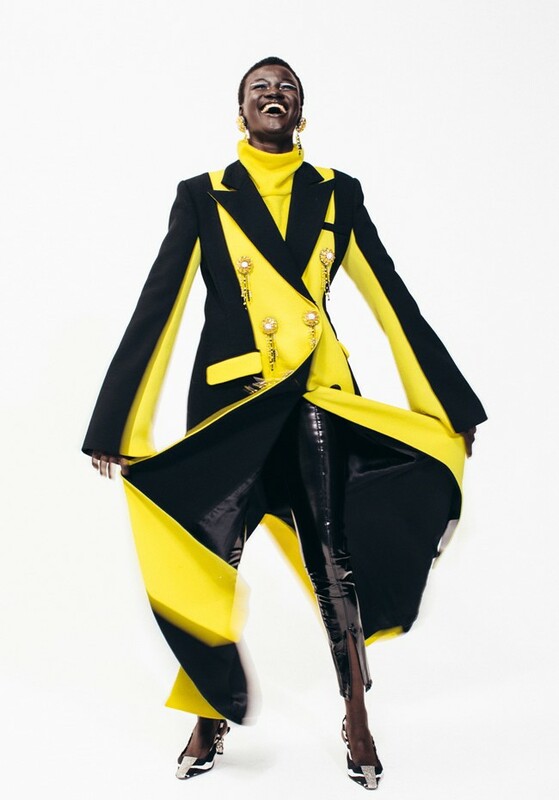 She gave us major supermodel vibes in canary-yellow sequined Jeffrey Dodd pants, twirled around the studio in a vinyl blue Priscavera Cervera trench, and sent our jaws to the floor in head-to-toe shimmery Adam Selman ensembles.